The Old Village of Mount Pleasant is home to historic St. Andrew’s Church, begun by Christ Church‘s rector, the Reverend Andrew Fowler. Services were first held in the Fowler’s Whilden Street home soon after he began serving Christ Church parish in 1828. Meeting here from June until the weather cooled in autumn allowed parishioners to remain in the resort village for the summer, thus alleviating their concerns of contracting malaria. 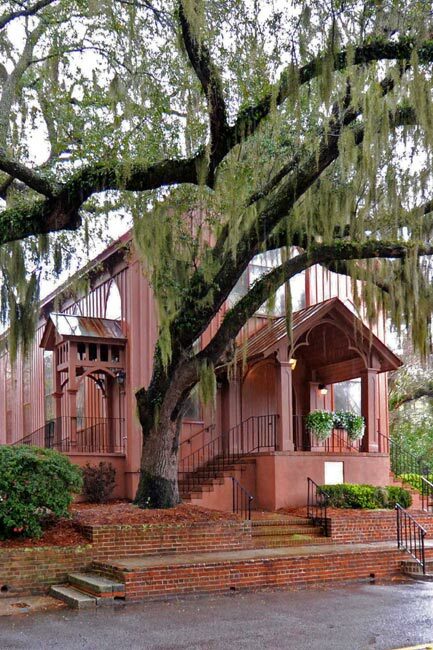 In 1835 a chapel of ease was built in Mount Pleasant as a summer sanctuary for the members of Christ Church. It was replaced with the present church in 1857, which was designed by renowned architect E.B. White. White designed many of Charleston‘s notable structures, including the French Huguenot Church. The chapel of ease was sold to the Etiwan Masonic Lodge and stands next to the present church today. The congregation grew following the construction of the Cooper River Bridge in 1929, which gave more people access to the historic village. 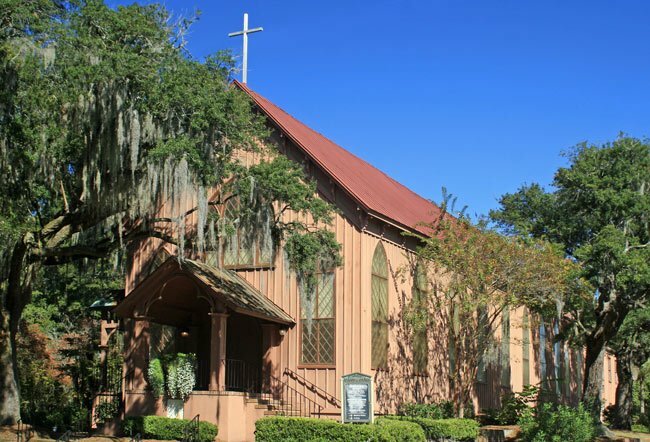 In 1954 St. Andrew’s became its own parish church, and additions to the church grounds in the late twentieth century include an expansion of the church building, an educational building, and a Ministry Center. 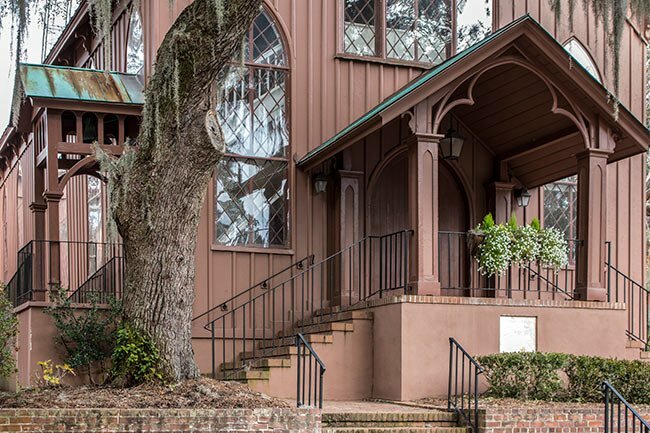 Originally an Episcopal church, St. Andrew’s is now affiliated with the Anglican Church in North America. Mount Pleasant, oldest summer resort in Charleston County, is located in Christ Church Parish, formerly a district of prosperous plantations. The first settlement here was Greenwich, a 100-acre village laid out in ca. 1776 by Jonathan Scott, and Englishman who arrived in South Carolina in 1763. Scott divided the 50 acres along the waterfront into lots and set aside the remaining 50 acres as a common from which the residents could collect firewood. In 1803, Mount Pleasant Plantation was purchased from the Jacob Motte estate by James Hibben who immediately surveyed 35 village lots and founded the town of Mount Pleasant. In 1837, Mount Pleasant and Greenwich merged to form one town called Mount Pleasant. The town rapidly developed as a summer resort for the planters of the parish and later was frequented by Charlestonians as well. The buildings are varied, representing architectural styles of the 18th, 19th and early 20th centuries, including vernacular Georgian, Greek Revival and Gothic Revival examples. Early houses were simple cottages, with more elaborate houses constructed when planters began to reside in the town on a permanent basis.